What Materials Can A Cricut Machine Cut? Here Are Over 100! Home > Cricut > Cricut Basics > What Materials Can A Cricut Machine Cut? Here Are Over 100! What materials can you use with your Cricut machine? 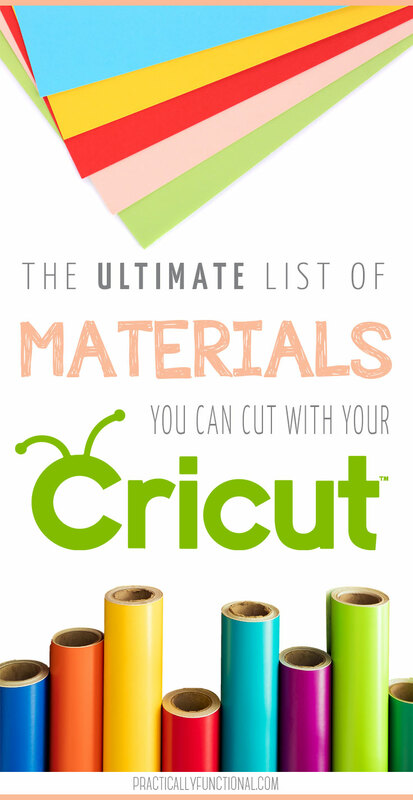 You’ll be amazed at this list of 100+ different materials a Cricut machine can cut! Many people think a Cricut machine is just for cutting paper or vinyl, but it can do SO much more than that! There are over 100 different materials that a Cricut Explore machine can cut, and the new Cricut Maker has a rotary blade and a deep knife blade that can cut even more! 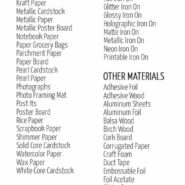 So if you’re wondering what different materials a Cricut machine can cut, check out this awesome list below! 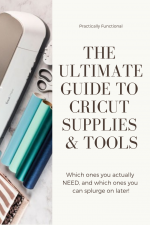 For those of you who are just getting started, I also have a complete guide to the accessories & supplies that every Cricut beginner needs (and which ones are just “nice-to-haves” that you can splurge on later if you want). And if you’re still on the fence or still have questions about the Maker, check out my post answering all the common questions about the Maker! 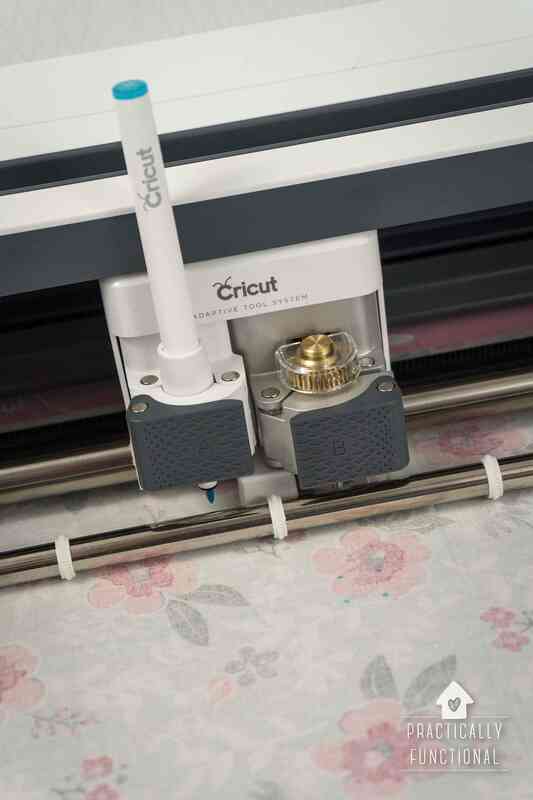 A Cricut Explore machine can cut pretty much anything as long as it is 2.0mm thick or thinner. And if you have a Cricut Maker, that machine has 10x the cutting force and can cut materials up to 2.4mm thick! Another great material that the Cricut machine can cut is vinyl. Vinyl is awesome for making signs, decals, stencils, graphics, etc. If you’re interested in trying out vinyl with your machine, here’s a great tutorial on how to cut vinyl with a Cricut. Iron on vinyl, also known as heat transfer vinyl, is one of my favorite materials to cut with my Cricut! You can use iron on vinyl to decorate t-shirts, tote bags, or any other fabric item. The Cricut does a great job at cutting fabrics, but you definitely want to add a stabilizer like Wonder Under or Heat’n Bond before cutting. 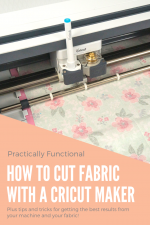 These fabrics and textiles can be cut with a Cricut Explore machine, but there are even more that you can cut with the rotary blade on a Cricut Maker machine. Besides fabric, paper, and vinyl, there are tons of other specialty materials a Cricut can cut as well. Here are a bunch of fun ideas! 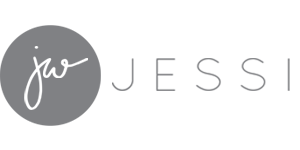 If you want a full list of all the materials a Cricut Maker can cut, plus cut settings, you can find that here. 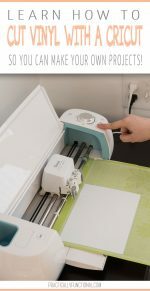 What Is A Cricut Machine & What Can I Do With It? How To Set Up A Brand New Cricut Maker & Do Your First Project! What Kinds Of Crafts & DIY Projects Can I Make With My Cricut Machine? Want to share this article with your friends? Just click any of the share buttons on the left to share with Facebook, Pinterest, Twitter, etc.! 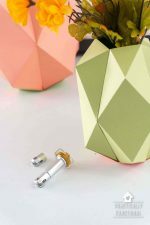 Which Cricut Accessories & Supplies Do I REALLY Need? Thank you for this review!! Question – if I intend to use this machine only for making edible images with fondant / gum paste / wafer paper & nothing else (therefore food safe), would the Cricut cut those items?? I know a lot of people who use their Cricuts to cut fondant, gum paste, sugar sheets, etc. and it works fine. There are some tips and tricks, and certain mats to use, and you have to practice a lot to keep it from sticking etc. but you definitely can do it. Cricut doesn’t recommend it just because their machines aren’t food-safe and they can’t take the risk of anyone getting sick etc. But it’s definitely possible and people do it all the time anyway! I see that the Cricut can cut stencil material according to your list and I am interested in cutting this material. which blade should I use on my maker? The standard fine-point blade should work fine! But also, the software should tell you which blade it recommends based on what material you select when you send your design file to the machine to be cut. How would these machines perform with foam board from dollar tree or hobby plywood. The foam board is probably about 3/16 inch thick. Hobby plywood is about 1/16 inch thick.